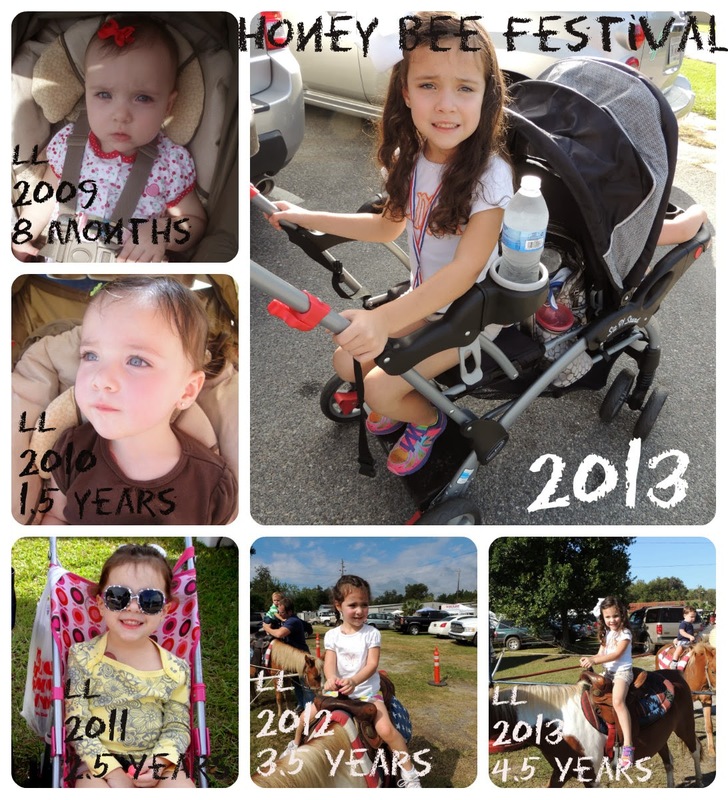 If you've been reading my blog for a while, you know that we LOVE festivals. There are two that we for sure go to every year: The Honey Bee Festival and the Azalea Festival. The Honey Bee Festival falls on the first weekend of October every year. 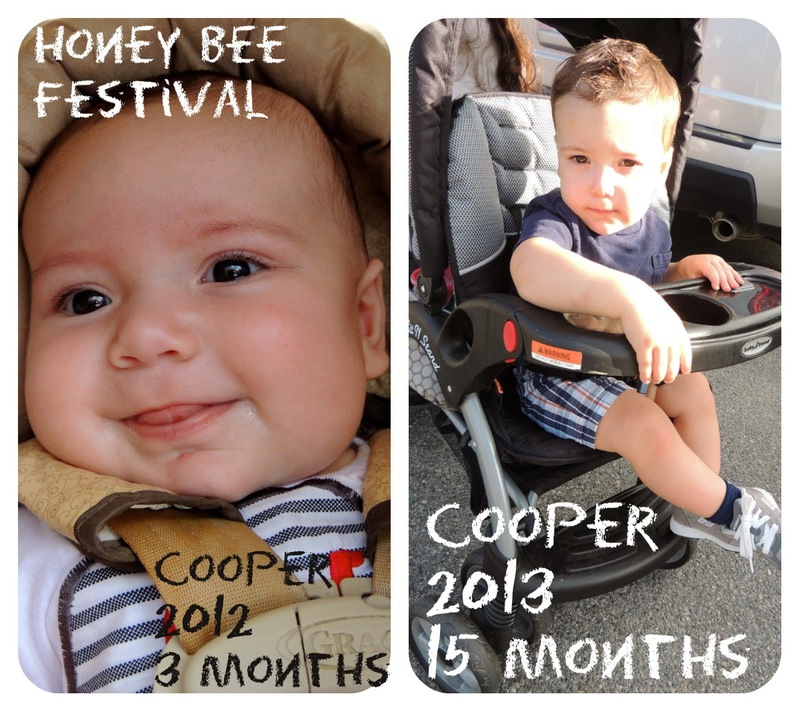 Last year, Cooper was still pretty little, so the whole outing was stressful. This year, he had already dropped his morning nap the week prior, so it made it much easier to go! In the double stroller and ready to go! This boy LOVES to ride in a stroller. We ran into Lorelai's teacher from last year, Mrs. Kerry. LL was so excited to see her! After our trip to Disney World last month, LL has no fear with characters. She was more than happy to take a picture with the Honey Bee! Riding the horses is her absolute favorite - duh! This was Cooper's first time riding a horse and he did not know what to think of it. He wasn't upset about it, but he didn't have a blast, either. I'm sure it'll be different next year! We walked around, ate, and then headed back home. We didn't stay for the parade this year. Cooper had just dropped his morning nap the week before and I knew he wouldn't be able to stay up until 1. The parade started at 12, so we just missed it as we headed to the car. Next year we'll stay for sure as LL was upset not to see it. 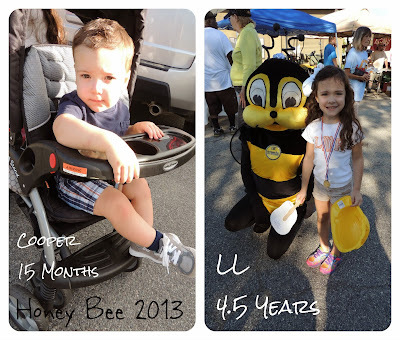 LL at the Honey Bee throughout the years.